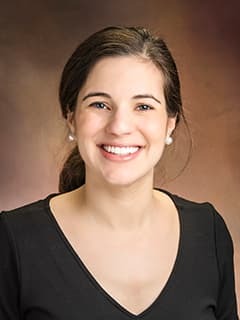 Sara D. Prince, MD, is a pediatrician at CHOP Primary Care, Springfield in Springfield, PA. Prince SD, Winestone LE, Nance SJ, Friedman DF. Recurrent Donath-Landsteiner Hemolytic Anemia: A Pediatric Case Report. Transfusion. 2017 June; 57(6):1401-1406. Pradka SP, Ong YS, Zhang Y, Davis SJ, Baccarani A, Messmer C, Fields TA, Erdmann D, Klitzman B, Levin LS. Increased signs of acute rejection with ischemic time in a rat musculocutaneous allotransplant model. Transplant Proc. 2009 Mar; 41(2):531-6. Prince S, Waitz M, and O’Neill M. Grand Rounds Case Presentation. Eating Disorders in Males: What’s New. Nemours/duPont Hospital for Children, February 2016.